The Park Avenue Armory is a nice venue I guess, but it is a also a noticeable architectural landmark of the city of New York. I was lucky enough to visit the building and learn all about it. 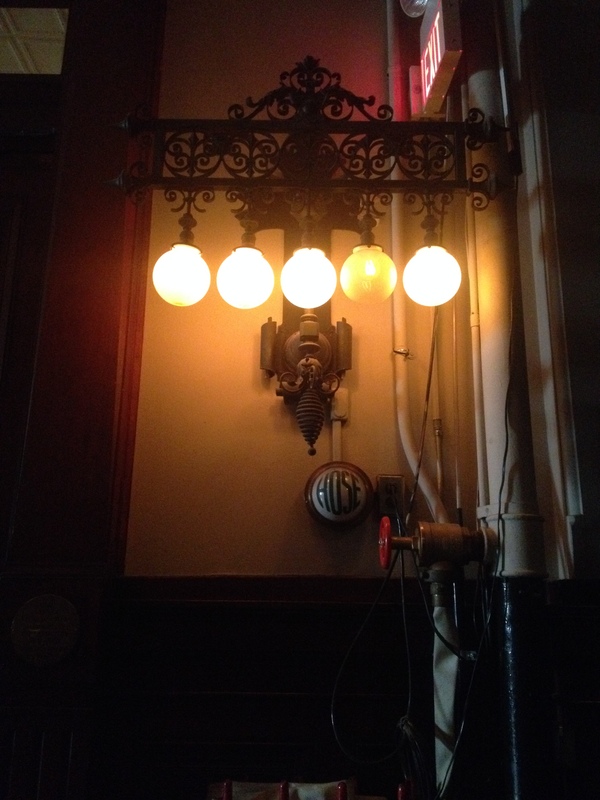 Here are a few pics and facts for you to virtually tour the building with me! 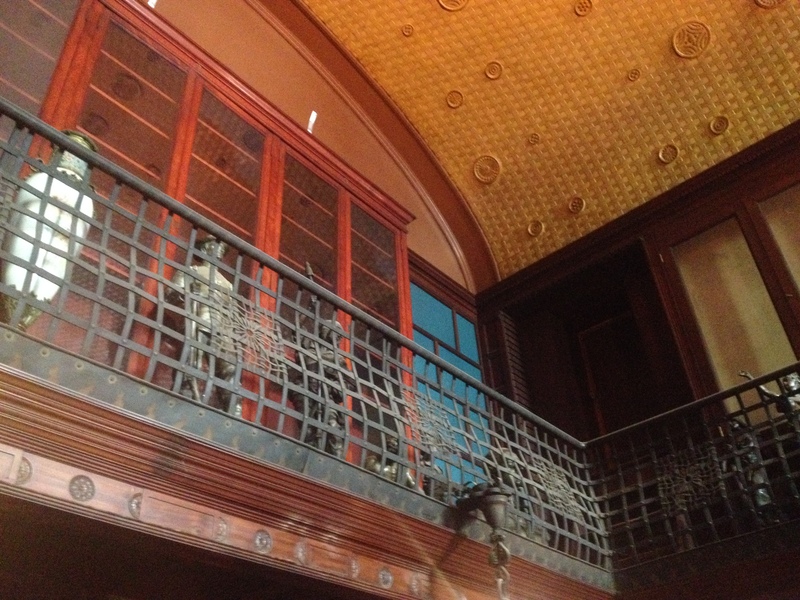 The stairs were originally roofed with a skylight (picture the light flowing down!) but a 4th floor was later added, which is now used as a woman shelter. The armory was constructed in 1870 for the 7th regiment of the National Guard to play a civic role in the community. Its population was wealthy and educated, worldly travelers, arts appreciators of the upper class. With its building looking towards Park Avenue and back at the tenements, the National guards was often called to deal with local riots. It was the only privately funded armory in the US. Young men were sent for a couple months of training before being part of the “club”. These regimen paid money to be part of the armory and wore suits from Brook Brothers. 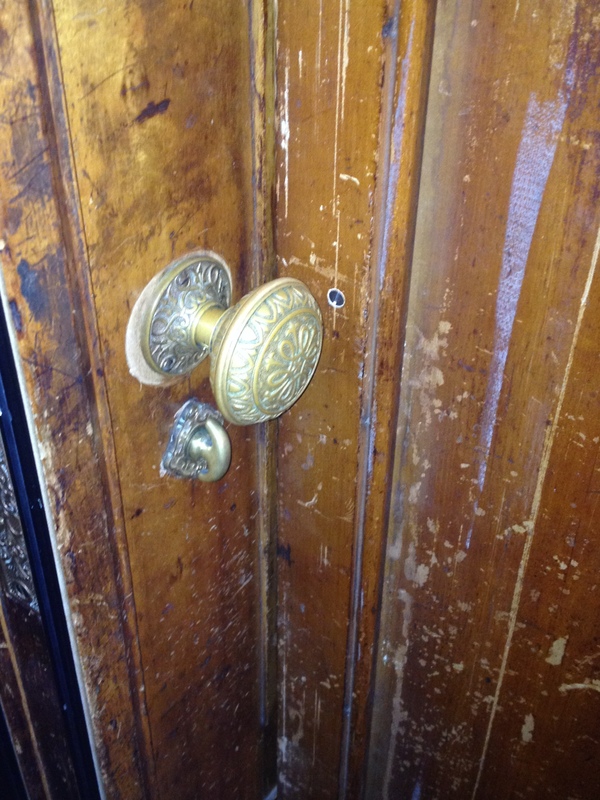 In 1990, a non-profit was created to protect the building and a massive restoration started right away. The goal was to use the space for contemporary events, such as music concerts, art installations and educational programs. The Armory offers its own programming, even if partnerships with other institutions happen frequently. A lease was signed with the State of NY and the building has been on the NY landmark watch list since 2000. The renovation is laid out with different phases (currently the 10th) and aims at bringing the building up to code. 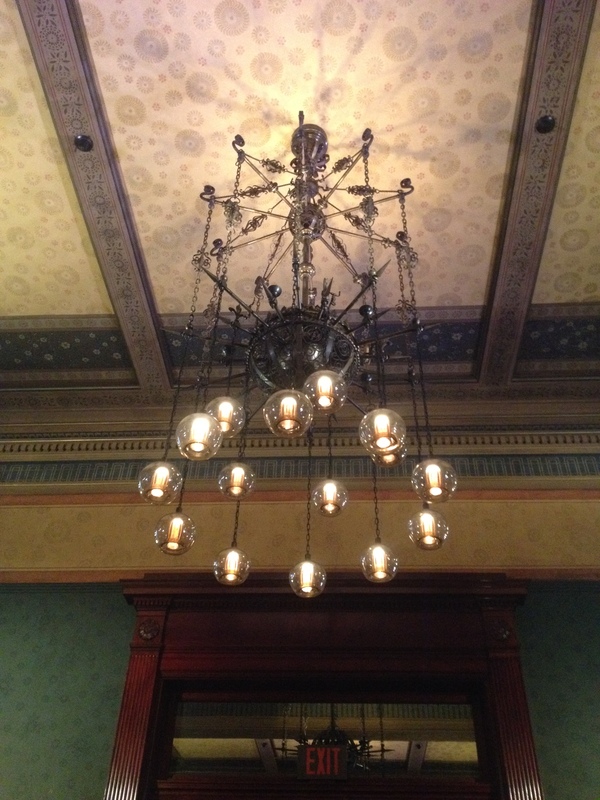 The board room is where men gathered to discuss politics or attend chambers music concerts. 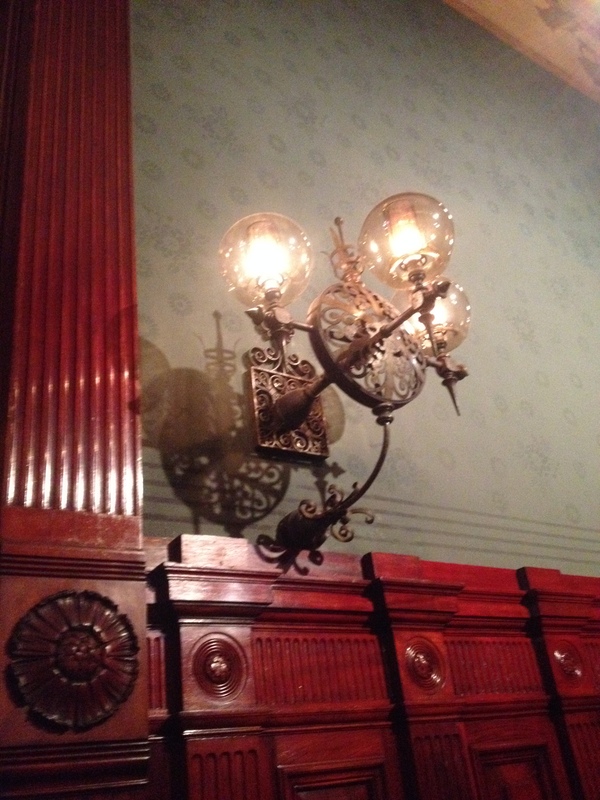 The chandelier was designed in 1897 but globes were added later to bridge with the gas-lighted original building. 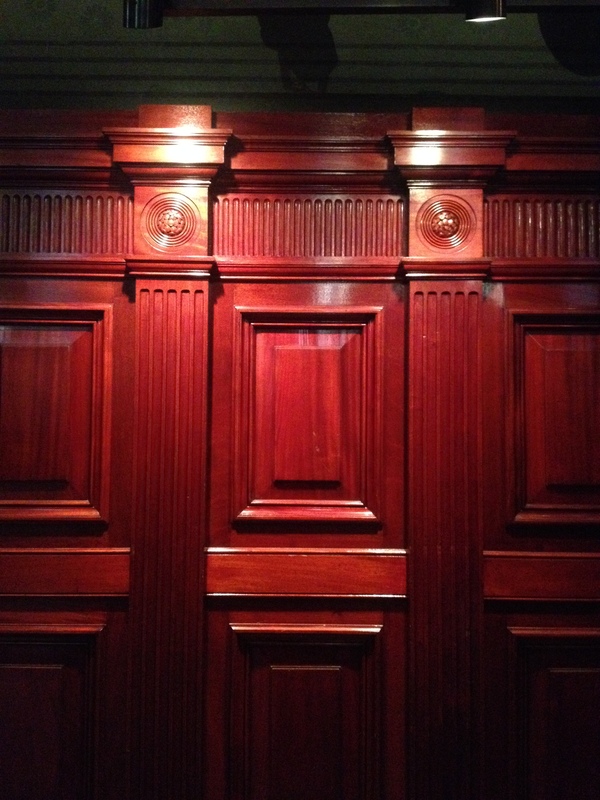 The Board room, and its fantastic acoustic, was designed by the Herter Brothers. It was restored in 2011-2013. Mahogany panels wrap the room. The renovation architects took the party to peel the existing layers to reveal the hidden conditions, showing clearly what is original and what is not. The damaged earlier layers are shamelessly shown. A contemporary touch was added with new light fixtures – designed by the architect – and curtains. A major lead removal plan was also part of the project. 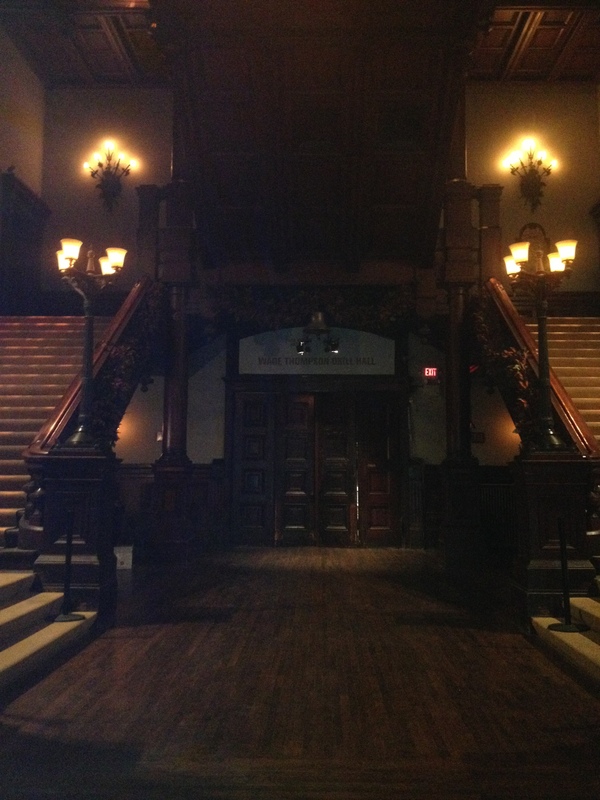 The armory was used for diners, parties, events; it was a men’s club. Ladies were invited only for special events like fundraisers or galas. They used the tea room and its washroom, which will later become a limiting factor for the building attendance. We are now in the library, decorated by Stanford White from substantial funds. The room is all about knights, defense shields and armors. 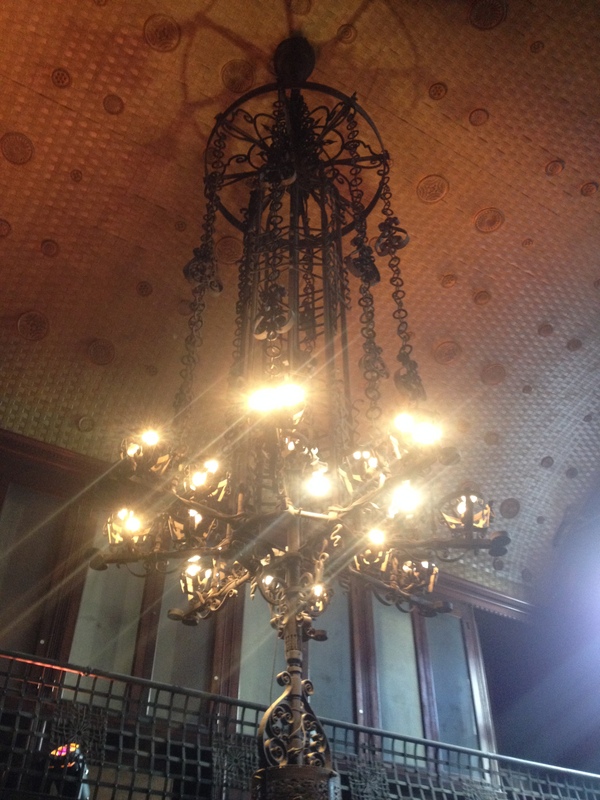 The chandelier (below right) is by Tiffany. 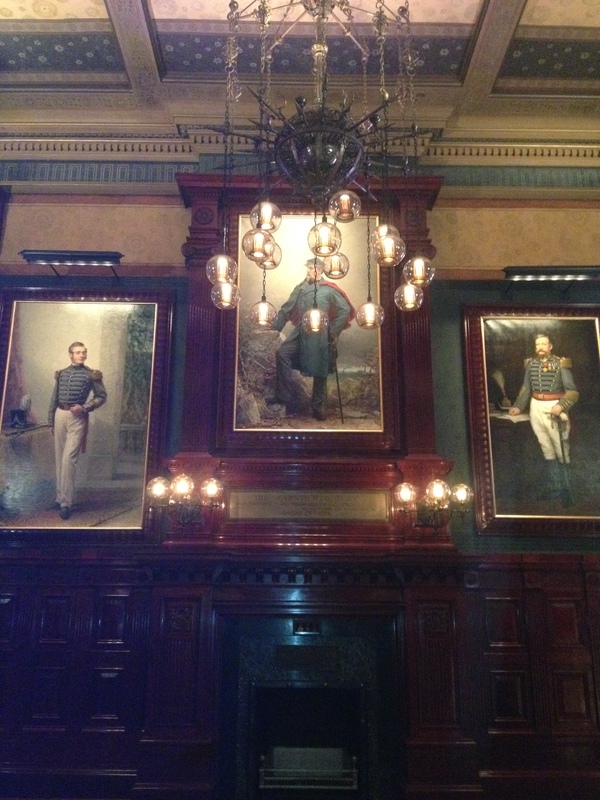 The Veterans room where old members used to hang out recently reopened but was under construction when I visited. 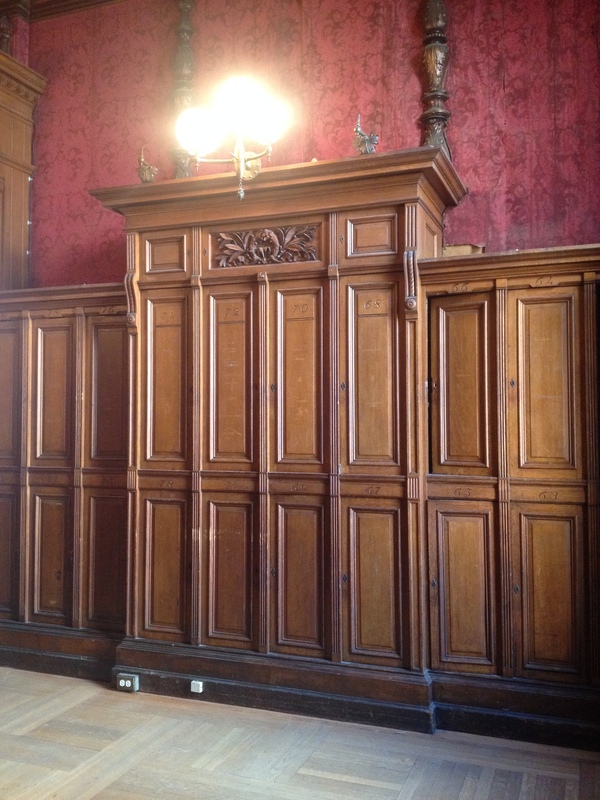 With a glimpse inside, I saw craftsmen taking the room apart, disassembling wall panels, to later build them back up. The Architects Newspaper published a post about the renovation of this room, see here. 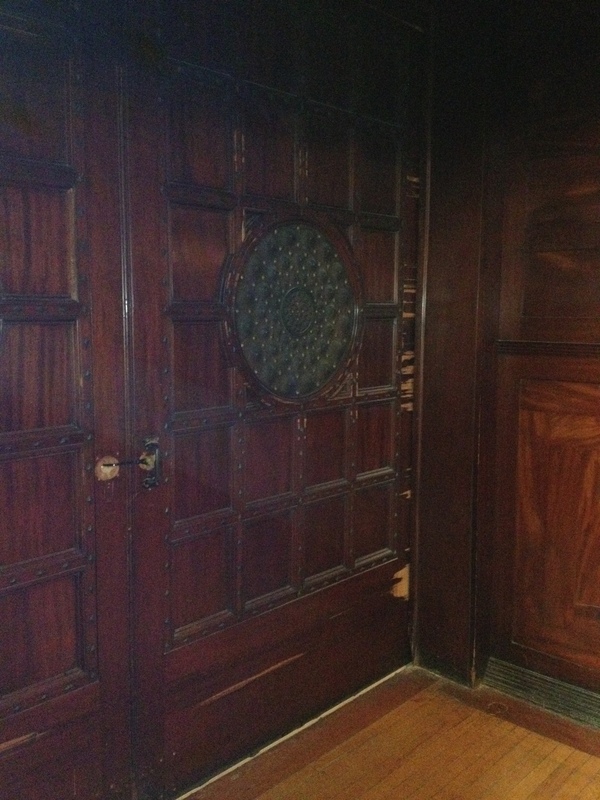 The Veterans room, before restoration, also known as the Comodore’s house in TV series Boardwalk Empire. 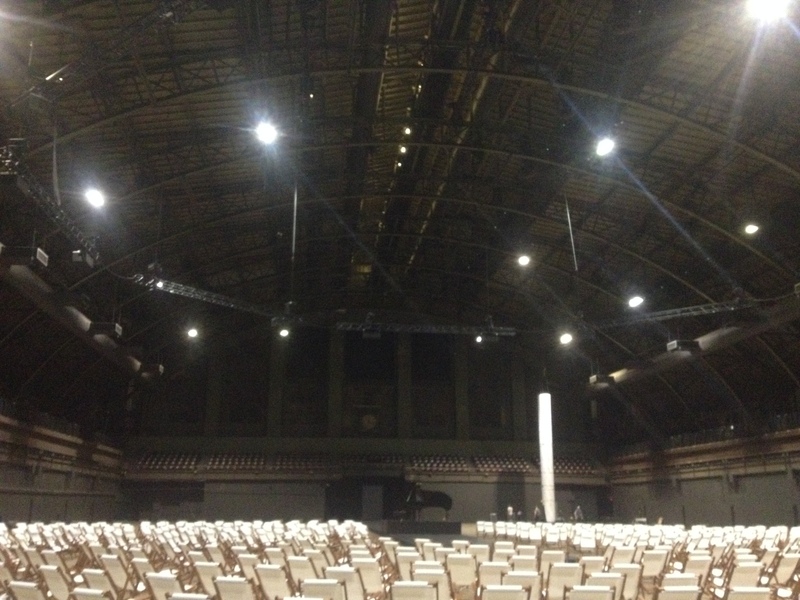 It is always very impressive to see a space as large as the Drill Hall, especially in the city. It was originally built for military marching rehearsal but soon (1882) was used to held concerts and huge themed parties. The antique shows were held here until the late 1950s. Now it is the venue of about 6 shows/year and is run completely non-profit. 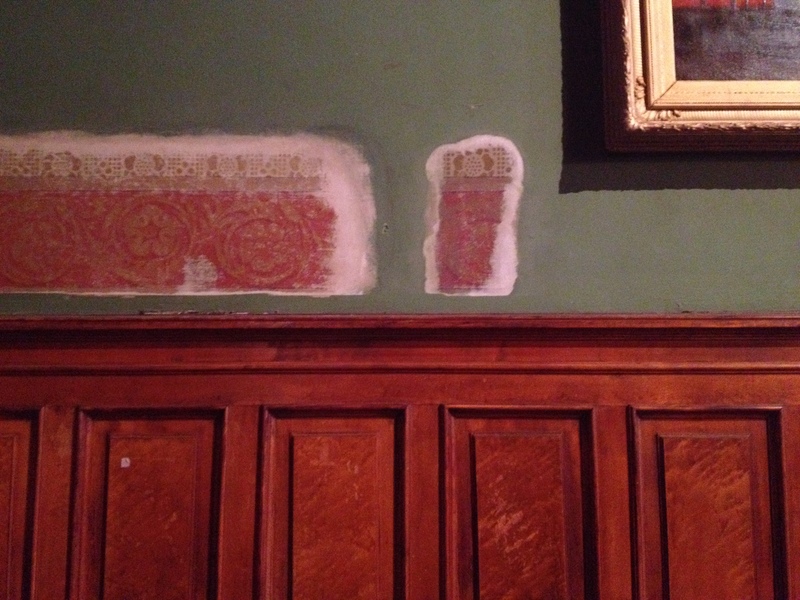 Every now and then, private events would happen in between arts shows to pay for its maintenance. The organization of public flow, staging and art pieces installation are not a easy at such a large scale. This room is 65,000 sf and has a raffle range below. One installation was a number of super high swings. Another installation was a water pool surrounding a solo piano. In the end, the many rooms of the first floor and acoustic design allow several simultaneous events. Let’s now go upstairs. Company rooms were named from A to K and hosted fraternities grouped by interest: baseball, shooting, horses, theater and singing, business, and so on. Each group, of about 100 members, was assigned a bare room and arranged their own decoration, choosing their style, artisans, furniture, lockers arrangement, etc. Rich and famous families have been through these rooms, like the Roosevelt at Company E or the Lefferts at Company D. One of the company even had a piano for their glee club parties. The AC concealed in lockers is one of the greatest feature of this renovation, achieving an upgrade that does not puncture the historic decorative faces. Two more companies were created in 1909, and then a few more before WWII. But then the Armory downsized drastically and within a new context, the rules changed. The war marked the end of an era. Note: I apologize for the poor quality of my photos. For better pictures, see here for the drill hall, see here for the historic reception rooms, see here for architectural details. If you want a more thorough history and high quality footings of the building, the best is to watch this short documentary from thirteen.org. If you want to learn all about the renovation itself, the architects’ website is what you should look at.